We are getting very excited about Christmas in our household. This year my 2 year old is super excited about Santa (I think it’s the first time she really understands how fun Christmas is going to be) and my 4 year old is obsessed with anything Christmas. So far we’ve decorated the tree, done a heap of Christmas crafts and baking and are eagerly awaiting Santa’s arrival. The Portable North Pole is super easy to use. You sign in, add a few details and photos and your video is created – just like magic! It took me less than 5 minutes to make each one, and most of that time was taken up with me trying to decide which one to pictures to choose. There are 2 free options (one for kids and one for adults) and lots of different premium versions. One of the features I love about this site is doesn’t only make one video. I’ve already prepared one for a few days before Christmas, with Santa packing my daughter’s gift into the sleigh (including a photo of the actual present she will be receiving) and a special video to share on Christmas Eve. This one includes a photo of our house so Santa knows where to come! 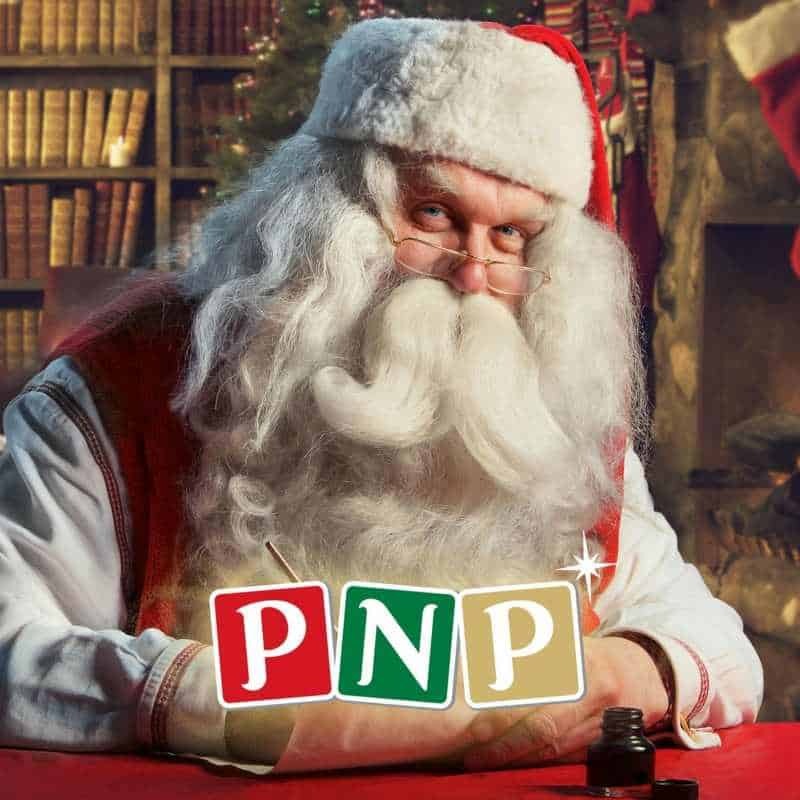 Portable North Pole is the number 1 mobile Santa app and is available in six different languages. You can access it at www.portablenorthpole.com or via the Android app or iOS app. The service has two great free video options, or you can upgrade to the video pass ($9.99) which gives you access to all of their video call options, or the magic pass ($12.99) which has unlimited video recordings, stories read by Santa and a really cool reaction captures feature, which captures the reaction of your children when they see the videos! Use this link for a 20% discount on premium packages. 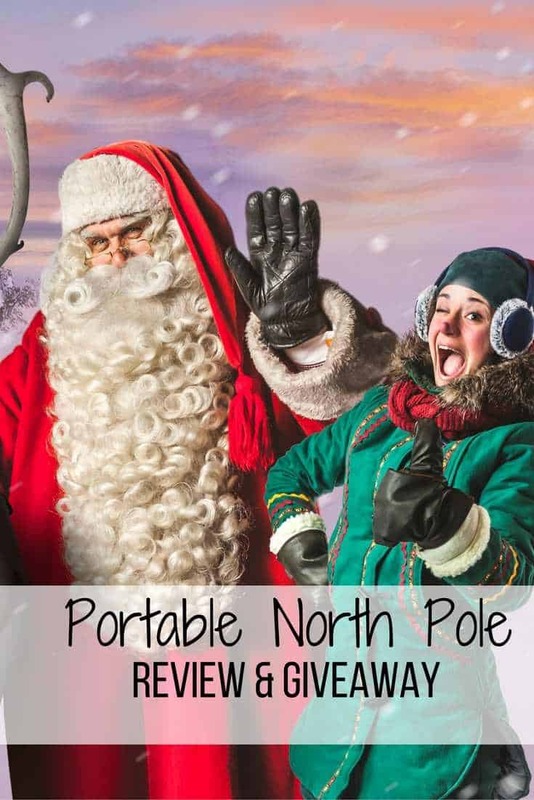 As an added bonus, Portable North Pole donates 5% of all purchases to help Children’s hospitals including the Mater Little Miracles in Brisbane, The Children’s Hospital in Sydney and the Royal Children’s Hospital in Melbourne. While everyone can enjoy the FREE personalised Santa videos and calls, we are giving one lucky reader the chance to win a premium magic pass (valued at $12.99). To enter simply comment below with why you want to win. If you aren’t our lucky winner you can still enjoy 20% off any premium package via this link. This sounds very cool. I’m sure the kiddos love this. Sounds like a fun app! I’m sure my kids would have a blast with it. What a beautiful video!! I would love to send videos to my 2 1/2 yr old grandson who is just beginning to understand Christmas and loves Santa. I’d also love to send them to a 3 1/2 yr old little boy I babysit everyday that has been working very hard this year to learn how to make good choices instead of bad ones and last week found out he’s going to be having a baby sister in the spring. Both of the boys have been doing great learning their letters, numbers, etc and even signing at my Mom-mom’s Totschool and this would be a fun way to acknowledge and encourage their success. Thank you for the information and the opportunity to share this wonderful site!! To show my kids that Santa is real. My kids will adore seeing Santa! Santa and his elves play and dance! This is such a fun age for children to celebrate Christmas! Digging this app. I’ve never heard of it. I love that it has 6 languages where we could share a message with our friends who all speak Spanish! This is so amazing! I don’t have kids yet, but when I do, I definitely will be doing this! 🙂 It must be so exciting for children. This is so neat, especially when they are the most excited about Santa. I love seeing their eyes light up. That is so so cool! I’m totally remember it for next year. I wish Santa came more than once a year. Haha! Merry Christmas and happy almost new year! wow! that is such a neat idea! i am definitely trying this out next time. thanks for sharing and wishing you a Merry Christmas! I have heard of these santa videos a few times they sound super fun! I bet my seven year old would enjoy it. Great review! That sounds like a fun idea for those that have little Children! I don’t have kids yet but I’m sure by the time I do, they will have something like this still out there!